Self Cure Remedy details of Apply calendula (marigold) ointment for the care and relief of Athlete's Foot, including effectiveness and popularity scores of the remedy. 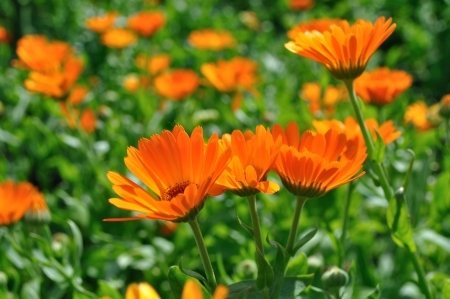 Calendula is anti-inflammatory which fights fungus. Apply an ointment with a 2 to 5% marigold to the affected area. Discontinue the use if there is any allergic reaction. 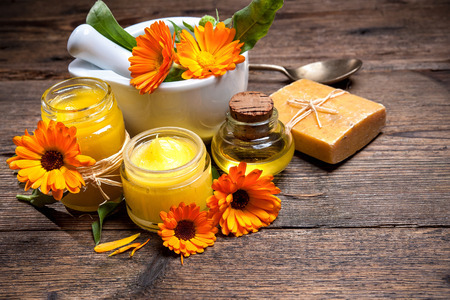 Calendula is valued for its anti-inflammatory, antifungal, and wound healing properties. The self cure remedy of Apply calendula (marigold) ointment for the care and relief of Athlete's Foot has an effectiveness score of 1.0 and a popularity score of 1 on the self-cure system.